Growth brings about a permanent change in any plant or its part in respect to its size, form, weight and volume. In fruit crops, the inherent nature of a long gestation period, higher heterozygosity, scanty information on inheritance pattern, often cross pollination, excessive fruit drop, parthenocarpy and lesser seed number restricting the availability of hybrid seedlings for evaluation are the real challenges in crop improvement program.Vegetable improvement includes the development of hybrids and new varieties for new horti zones, higher yield, greater tolerances to insect pests and diseases, excellent fruit quality, nutritional content and physiological efficiency. Evaluation of natural diversity, selection, hybridization, exploitation of hybrid vigour and male sterile lines, polyploidy and mutation have played an important role in production maximization and productivity of both self and cross pollinated indigenous, commercial and elite vegetable crops.The main emphasis in ornamental plant breeding is to improve variety traits, novel colour, form, size, number of flowers, flower vase life, repeat blooming, disease resistance, nutrient uptake capacity and growth habit.Various types of new varieties of ornamental crops have been produced for many years by cross hybridization and mutation breeding techniques, separately or in combination. In view of above, the present publication on ‘Growth and Improvement of Horticultural Crops’ is planned in 10 interesting chapters vividly highlighting various aspects covering Breeding of Horticultural Crops, Growth and Development of Horticultural Crops, Principles and Methods of Training and Pruning of Fruit Crops, Use of Growth Regulators in Horticulture, Fruitfulness and Unfruitfulness, Nutrient Management, Water Management, Cropping System, Principle of Organic Farming and Rejuvenation of Old Orchards. 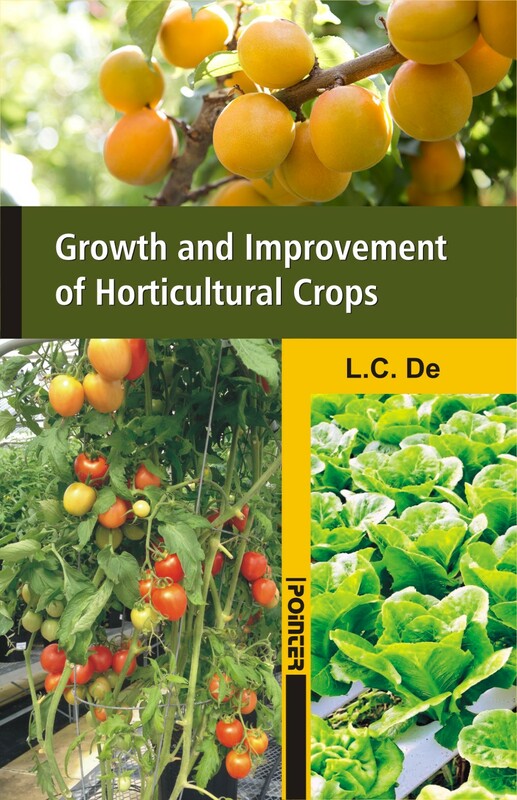 It may be humbly claimed that this is the most comprehensive book on growth and improvement of horticultural crops and will be useful to teachers, students, scientists, nurserymen, landscape designer, planners, amateurs and professional gardeners and above all farmers.